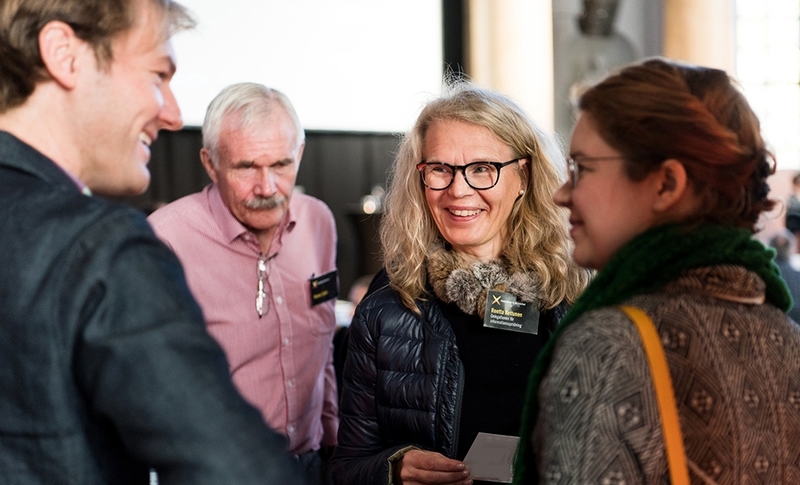 A membership in Vetenskap & Allmänhet gives you or your organisation access to a network of actors who all have taken a stance for knowledge, competence and science. Welcome to become a member of VA! Knowledge and advance information about VA’s studies, as well advice on designing activities and studies. Access to a wide network of members, as well as opportunities to collaborate with VA and other member organisations. Influence on the activities and studies carried out by the organisation, the issues that VA focuses on and its future development. Goodwill through a clear commitment to society. Membership of VA signals that you consider access to, and confidence in knowledge, skills, education and research as strategic issues. Member’s newsletter six times per year (in Swedish). An international newsletter is published in English twice a year. Invitations to all of VA’s activities, networking events as well as special activities for members. Visibility in VA’s network and materials. Advice on designing your own activities and studies. Tailored presentations and conference participation. Opportunity to influence the way VA works and its strategic direction. Individuals can also become members of VA. The individual annual fee is SEK 350. The membership fee is payable to VA’s Swedish bank giro account 5507-7150 or plus giro account 406 11 85-7. Please state the name of the member, any contact person, mailing address, telephone and e-mail address.